ELS/Dallas and The University of Texas at Dallas (UTD) have great academics, amazing food, weather, close proximity to a vibrant southern city, and campus life at a highly ranked university. Situated in safe and quiet Richardson, Texas, the UTD campus is diverse and growing, but still small enough that students can walk to the library, exercise facility, student union or soccer fields in about 10 minutes. If students are looking for big city excitement, Richardson is only 25 minutes by car from the Dallas city center. With one of the largest arts districts in the nation, Dallas has world-class shopping, outdoor activities, year-round professional sporting events, cuisine from all over the world and many exciting entertainment options. The center provides a wide range of services that include airport meeting, assistance with housing, cultural orientation, help with immigration matters, college admissions counseling, and sponsorship of a variety of social and recreational activities. The center also offers free e-mail and internet access to our students. Students have access to many campus and local facilities. More than 550 U.S. universities, colleges and career schools (including Point Park College) recognize completion of the ELS Language Centers Intensive English program as satisfaction of their English language admissions requirement, in place of the TOEFL or other exam. 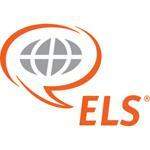 The ELS Language Centers University Placement Service can also help students secure placement in a U.S. university, college or career school before they leave home. The center also provides college placement assistance to currently enrolled students. Private customized instruction can also be arranged upon request for additional fees. Internship Experiences at local businesses may also be arranged after arrival. Internship Experiences require at least 2 sessions of the Intensive English program and ELS level 109 completion.